Also known as PSK-3841 or HMR-3841, RU58841 is a non-steroidal anti-androgen. It was first developed in the 1980’s by researchers looking for androgen blocking treatments. Anti-androgens have potential to be used to treat some ‘male’ cancers such as prostate cancer, as well as possibly targeting skin conditions including acne and male-pattern baldness. 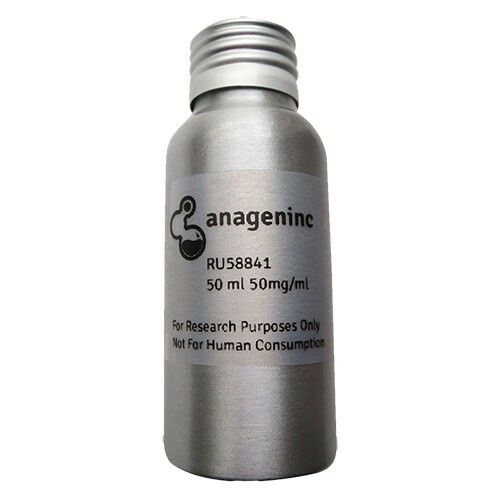 RU58841 differs from other anti-androgens in that rather than trying to reduce or block the production of testosterone or DHT, it focuses on the testosterone receptor. Most hormones work by first combining (or attaching to) a unique receptor in the tissue itself. This action of hormone ‘locking’ onto the receptor is what causes the effects of the hormone. For example, as you may have heard, the act of DHT “causing” hair loss is this very process. DHT binding with the receptor. RU58841 fits into the DHT receptor ‘keyhole’ – so blocking any real DHT from doing so. However, RU58841 does not activate the receptor, so doesn’t cause any of the usual downstream effects. As RU58841 does not affect the production of either testosterone or DHT, the patient’s hormone levels are unchanged. As long as the treatment is localized to the area it is needed, there shouldn’t be any unwanted side-effects.. If it is used on the scalp, by effectively inactivating DHT receptors, RU58841 should be able to stop the miniaturization of the hair follicles seen with ongoing exposure to DHT, and therefore reduce or stop androgenetic alopecia. It is specifically designed as a topical treatment. Since RU58841 has officially never been approved on the market, it is referred-to as what is known as a “research compound”. More than 10 years ago there were only a few people who could obtain the compound and actually test it. It was way more expensive than it is now and only a few select people tried it. These days however RU58841 really found its way into the market. It is way cheaper and has been tried or is being used by many people for their research. One could say about RU58841 that it is the popular alternative to finasteride. RU58841 is not unique in its class as a research compound. There are more research compounds sold over the internet for other uses like bodybuilding, anti-aging and cognitive enhancement. There is one exception to this and that is Indonesia. RU58841 is sold there over the counter as an official hair loss treatment. Softer regulations probably allow for this. RU58841 is sold here as a combination treatment with minoxidil. 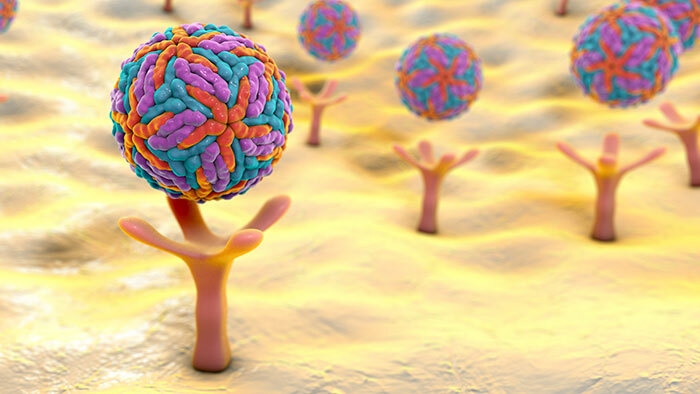 Since RU58841 showed exceptional high topical activity with the lack of systemic activity the compound led to being investigated by different researchers . 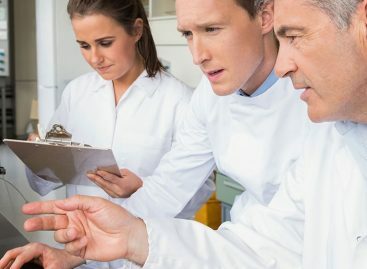 Eventually a company called Prostrakan picked up the compound rights and renamed RU58841 to PSK-3841 and investigated it for therapeutic value for androgenetic alopecia and acne in humans. They ran both phase 1 and phase 2 human clinical trials. The first clinical trial consisted of a 5% topical solution administered twice daily over 4 weeks to a total of 30 people. This led to a phase 2 double blind multi centre randomized trial which consisted of a 5% and a 2.5% topical solution being administered once a day over a time period of 6 months in 120 people. There are also a ton of anecdotal reports to find on the internet of users who have used RU58841. It is primarily a attractive compound for people who have side effects with finasteride. This is also brought forward in the anecdotal reports. 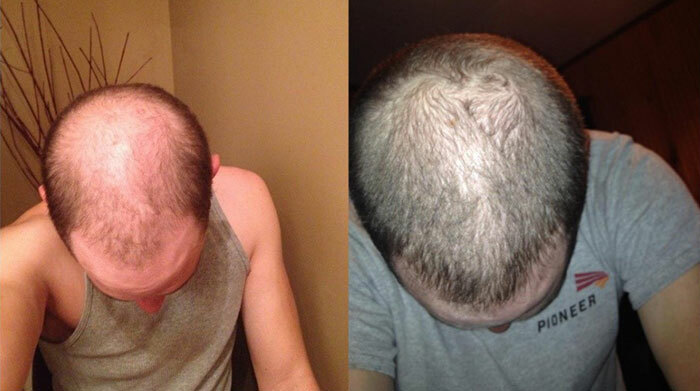 Some people who used finasteride with side effects reported no side effects at all with the usage of RU58841. However clearly the anecdotal reports also show that some people do in fact have some side effects with RU58841 that relate to typical anti-androgen side effects. In terms of results, RU58841 seems to be absolutely loved by some people. Some people even report better results on it than finasteride As with all hair loss treatments pretty much nothing works for everyone though. Some people report no noticeable positive effects with the usage of RU58841, but the same could be said for finasteride. In terms of animal models it is also interesting to look at the macaque model for androgenetic alopecia. Since these monkeys bald naturally just like humans and androgens have a primary role in the balding they make for a way better animal models than rodents. In one study RU58841, on topical application, revealed a potent increase in density, thickening, and length of hair in the macaque model of androgenetic alopecia, whereas no systemic effects were detected. In another study called “Follicular regrowth with 5 α-reductase inhibitor (finasteride) or androgen receptor blocker (RU58841) in the bald scalp of the stumptailed macaque.” finasteride 1mg a day and placebo was given to 10 animals each. Then RU58841 and vehicle were topically applied for a total of 10 animals. Four of the animals were given a concentration of 5% RU58841, 3 animals a concentration of 0.5% and the other 3 were given the vehicle. Anagen follicles increased an average of 88% with finasteride and 103% with RU (5%) and growth of vellus follicles to terminal size was 12% with finasteride , and 26% with RU (5%). RU (0.5%) showed a weak effect and placebos induced no effect. 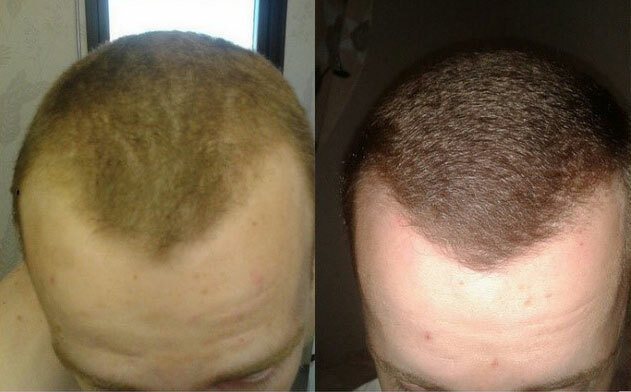 Hair regrowth was observed in varying degrees with both agents; RU (5%) induced the most growth after only 2 months of treatment. Plasma RU and metabolites (10-20 ng/ml) were detected in 2 cases (5%) at 3, and one at 6, months. Serum DHT decreased about 70% and T (males) increased with finasteride, but exhibited no significant changes with RU. 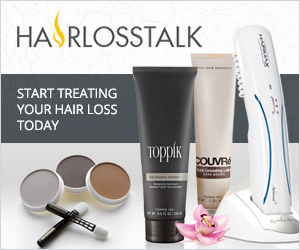 Why was RU58841 Never Approved for Hair Loss Treatment? The exact reason is unclear. But is probably because of financial reason. We do know is that Prostrakan was searching for partnering discussions for RU58841 after their 2nd clinical trial. Out-licensing was a key part of the strategy of Prostrakan but they did identify RU58841 as a value project but not a priority one. 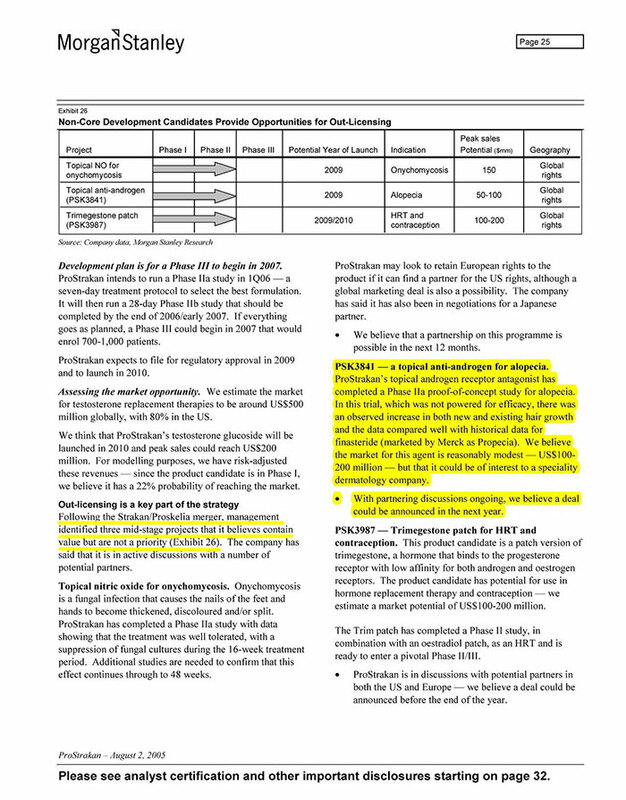 You can see the exact information about that in the following picture of a Morgan Stanley report about Prostrakan. The patent life of RU58841 was also nearings it’s end so this would not be attractive for any company as generics could come into the field. RU58841 can be either bought in a pre-made solution or as the raw powder form. For people who don’t want to mix their RU58841, the pre-made solution is an option. The raw powder form is a little cheaper and gives a bit more of flexibility. With the raw powder you can mix your own concentration precisely and you make or use your own “vehicle”. The most commonly concentration used online seems to be 5%, as this was the concentration that was trialed in the clinical trials by the company Prostrakan in 120 people over a period of 6 months. Going higher than a 5% concentration doesn’t seem to be really popular and most go for a concentration in the 3-5% range. In terms of vehicles various variations have been used. In the pre-made solutions that can be bought the vehicle consists of ethanol and propylene glycol or K&B solution. Since some people are more sensitive to propylene glycol the K&B solution offers a less harsh vehicle. The K&B solution was also designed to carry RU58841 over time into the skin due to a film forming agent being included in the formulation. Whether this really holds much value is not clear, it’s probably more a matter of personal preference. Some like the one vehicle more than the other. For people who buy the raw powder form there are more options possible. Many people like to mix their RU58841 into minoxidil. That way people have basically 2 strong compound in one solution that have a synergistic effect. The synergistic effect of minoxidil and RU58841 has been reported in a study done on stumptail macaques. They found that using RU58841 quickly produced better results in combination with minoxidil than either compound alone. Having your vehicle ready where you will mix the powder in. The powder is dissolved in ethanol so make sure the ethanol content is at least 30% and you should have no problems dissolving the RU58841 in the vehicle. For instance it can be mixed in Kirkland minoxidil, neogenic, P&G solution or K&B solution. Every 1% of RU represents 10mg/ml. So let’s say you have a Kirkland bottle of 60ml and you want to make a 5% RU solution into this you want to have 50mg/ml x 60 ml = 3 gram. So you add 3 gram to the Kirkland minoxidil and shake it really well. Another example let’s say you want to mix a 3% RU concentration in 10ml of K&B solution you want 30mg/ml x 10ml = 300mg in total. They transparently share their test results for each batch. The company has also been third party tested many times by users who have ordered the compound for research use. In every instance the compound was indeed RU58841 with a high purity of above 99%. RU is a non-steroidal antiandrogen that continues to rise in popularity. Officially it has never been approved on the market and is sold as a research compound but that doesn’t stop people from using it as a hair loss treatment. The reason that it has never been approved isn’t completely clear but it seems it was simply because of financial reasons. It can be seen as a finasteride alternative. Based on short term data that is released it seems to do the job just as good as finasteride or better. The compound can be especially attractive for people who get side effects with finasteride or people who want to combine it with finasteride if they can’t maintain on finasteride alone. Simply said RU58841 has established itself as a powerful treatment besides the likes of finasteride and dutasteride.